CHF International has been operating in Rwanda since 2005, and globally operates in more than 40 countries.Â The organization strives to be a catalyst for long-lasting positive change in low- and moderate-income communities around the world, supporting them to improve their social, economic and environmental conditions. 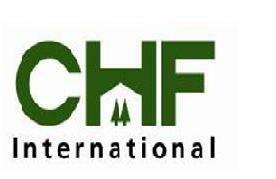 CHF was founded in 1952 as the Cooperatives Housing Foundation, but today is known simply as CHF International.Â The organization serves more than 20 million people each year, empowering them to improve their lives and livelihoods for a better future. CHF Internationalâ€™s largest program in Rwanda is the USAID/Higa Ubeho Program which is a 5-year PEPFAR funded initiative to reduce the impact of HIV/AIDS and other health conditions on the most vulnerable populations in 20 districts of Rwanda.Â Through this family-focused program, CHF International and its partners will support stability and resiliency among 72,000 HIV/AIDS affected and other vulnerable Rwandan households. The overall objectives of USAID/Higa Ubeho include increasing vulnerable household access to quality health and social services; improving household resilience through economic, nutritional and educational investments; and strengthening local government and civil society capacity for health and social service provision. CHF International leads a consortium of 20 organizations that implements the USAID/Higa Ubeho Program; this includes two international partners (CARE International & Catholic Relief Services) and 16 Rwandan NGOs:Â ARCT-Ruhuka, ADEPR, AEE, Caritas, DUHAMIC ADRI, EPR, HAGURUKA, ICYUZUZO, PAMASOR, RRP+, RWAMREC, SWAA-R, URUNANA DC, WE-ACTx for Hope and WIF. CHF International is also working with PSI in the Behavior Change Social Marketing (BCSM) Program. Capacity building: Strengthen capacity of local government, civil society, and community groups to support the most vulnerable children and families in a sustainable manner. Access to education: Increase enrollment and retention in primary and secondary education among the most vulnerable children. Orphans & vulnerable students: Strengthened stability of families and communities through economic strengthening, food security, and education. This entry was posted in CHF International, Member Organizations by RENCP. Bookmark the permalink.